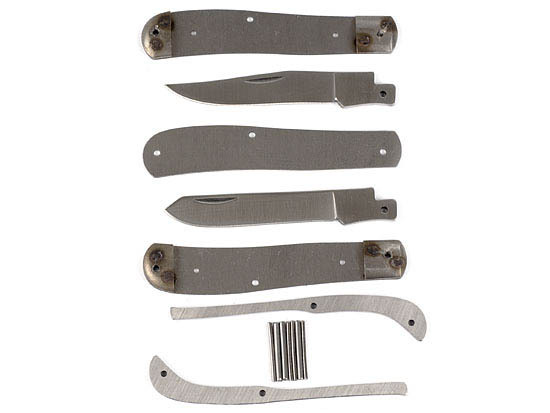 3-1/2" trapper with two satin finished 2-1/4" blades. Includes Stainless Steel? bolsters,?kiners?and pins. ?CRYOGENICALLY TREATED.? **Handle material is not included. Shop Roll 400 Grit - 50 yds.